Office Escapee - Adventures of an IT escapee who traded a cube and keyboard for a helmet and a spoke wrench. Here’s an update on the progress of my transition from an IT Office to the part time bike shop life. Things are going great at the shop. Things are coming back to me pretty quickly and I’m having a blast learning new things and fixing bikes, getting to know the regulars and all the new technology that has been added to bicycles in the last 15 years. By the end of week 1, I completed the “Trek Ninja” Certification and was given a few nice very gifts from Trek for doing so. I’ll review those soon. This week was really busy, I managed to finish off the remaining sessions for a “Trek Road Scholar” and “Trek Dirt Scientist” Diplomas and 2 Shimano S-T.E.C. certifications for “Wheel and Hub” and the Electric “S.T.E.P.S. Drivetrain”. I also started working on the “Mountain drivetrain” classes too. after the remaining 170 Shimano modules and the remaining 100 or so Trek modules I’ll start the Specialized, Thule, Ascend, Pearl Izumi, QBP, Saris classes and certifications, the goal being to get as many bike industry related certs under my belt quickly so I can focus on other parts of my “midlife crisis plan“. Week 3 is almost over and things are great, I’ve ordered a bunch of tools to restock my tool box and I’ve been drooling over which bike I’ll get with the special Ninja Discount. and shopping for the rims and hubs I’ll be using on the wheels I’m building for my bike. Send me your comments or email me your suggestions for a set of road hubs and rims you think I should use on my wheelset build. I’ll be making another update soon. Keep spinning, and Enjoy the ride! 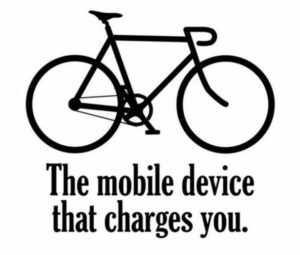 Most of the health problems that we suffer from can be helped by riding a bike. 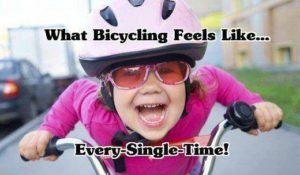 Those same health problems are aggravated by not riding a bike. Mark Makes some great points its worth a watch. 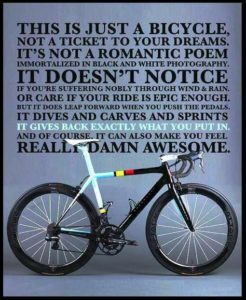 I ride because it makes me feel good and for all those reasons. 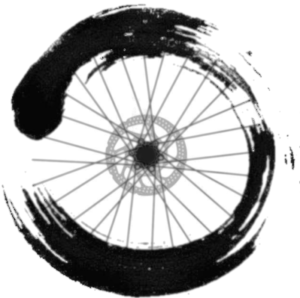 Enso bike wheel – cycle in the zone. This site will attempt to chronicle my journey from stressed out IT professional to a more laid back bike mechanic and freelance IT tech. I will work part time doing things I know I love to do, fixing and riding bicycles, and traveling. doing tech work and odd jobs to pick up any financial shortcomings. If all goes well there might be affiliate and other monetization on this and my other sites. I’ve Chosen to create a logo based on what cycling does for me. 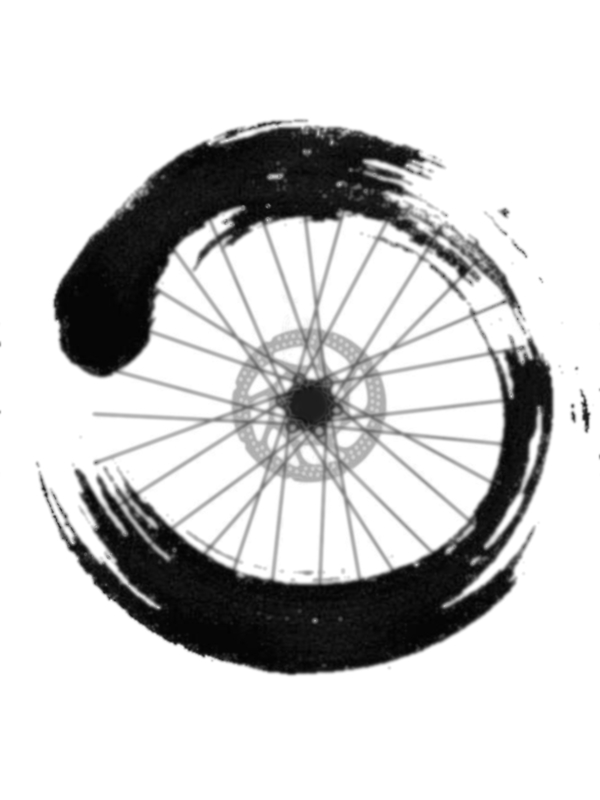 I give you the Ensō Bike Wheel. Ensō – Symbolizes a moment when the mind is free to simply let the body/spirit create. It symbolizes enlightenment, strength, elegance, the universe, and the void, an “expression of the moment”. 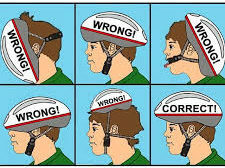 I’ve traded my cubical and keyboard for a helmet and a spoke wrench and I already feel 100% better.